We work with projects of any subject and make styles of any complexity. The project specialists are limited only by the capabilities of your platform (the site / forum engine). We are able to design individually from scratch according to your order and for your needs without using ready-made templates. We adjust to the budget of the customer. If necessary, we will show you how you can save on the design project, and if you overcharge the budget, we will offer additional services. We can order the creation of mobile (adaptive) design for any platform. We use the correct graphics format, cross-browser codes, css-sprites, and orientate ourselves in the trends, so that the design is quickly loaded and correctly displayed at different resolutions. We also deal with scripts: we select, develop and configure scripts, and also embed various video effects, parallaxes, sliders and other technical features into the design. We are specialists in non-standard solutions for forums, and we can help to embody the wildest fantasies and create unprecedented templates. You can order a style, executed individually from scratch, and not just the redesign of the finished template. We can move almost any element of the forum to any place and make it any shape or stylization, and also add almost any "piece" to any place. When we code the design for MyBB it will be tested and corrected on every page of the forum from the user-list to the user profile, and not only on the main and topics. 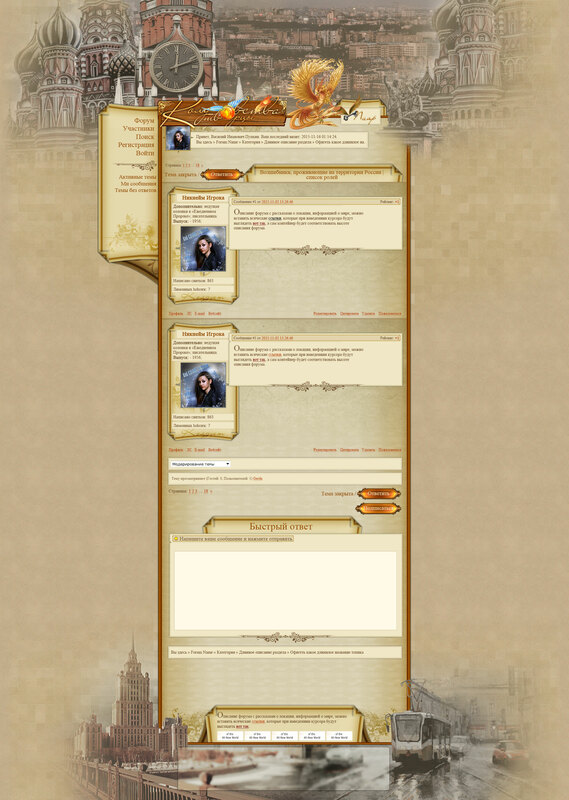 We are successfully creating an adaptive mobile version of the design for forums. 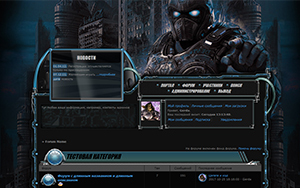 We can order a simple site on the forum platform MyBB.ru without the need for external hosting. We also perfectly navigate in the scripts for mybb-forums and popular trends in the community and can do "as there." 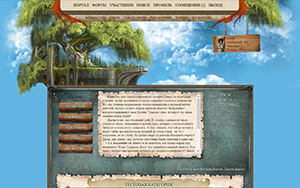 In addition: we create video clips, draw art and portraits, make logo design and elements, etc. The layout is executed in the style of dark fantasy with observance of clear preferences of the customer. 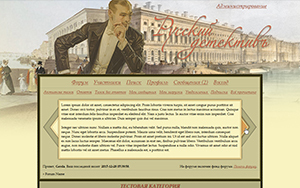 The color scheme is dark with the use of burgundy and gold shades, the area of content publishing is light. 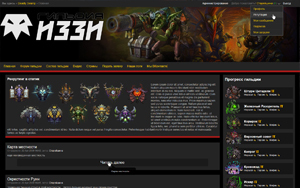 Symmetry and military themes were made in the design: weapons, shields, pendants, flags. 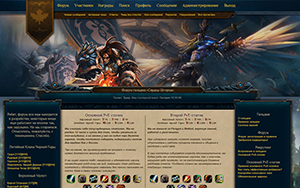 For the volume we used in the design a lot of textures and lighting effects for the forum's header. 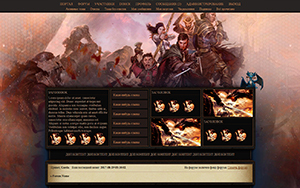 Forum tables are provided with background images and outlines. 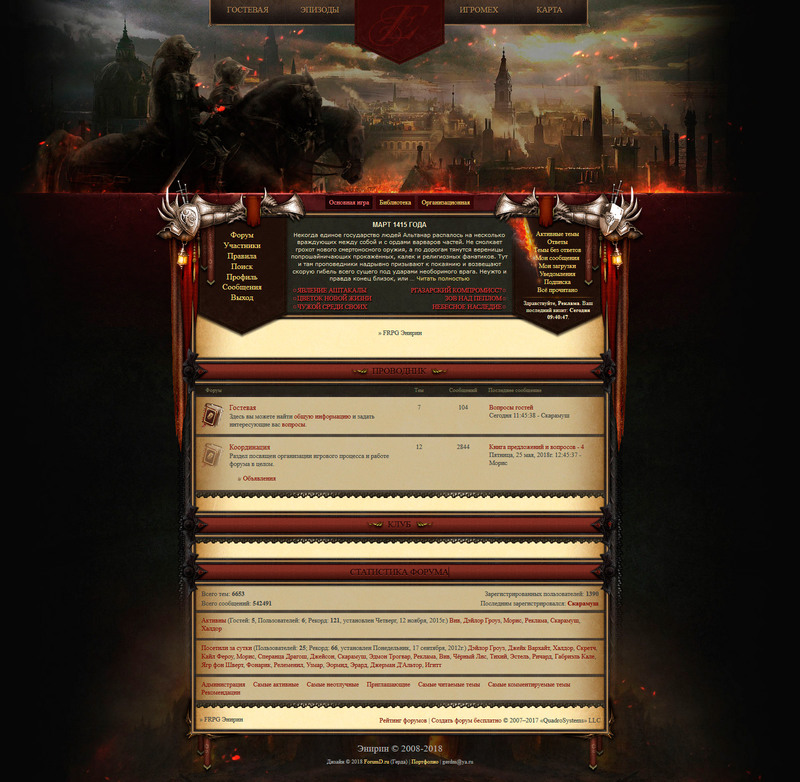 Detailed style of posts on the topic page. The design is executed with a complex double outline of the body of the forum. 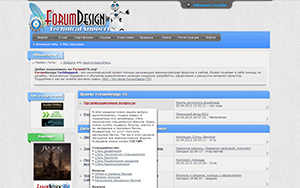 In the header there is an additional menu with navigation on important sections of the forum. 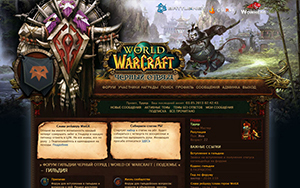 The navigation menu and user menu are located vertically on the sides of the announcement block. The announcement has a built-in and stylized container with switching tabs. Selection of active rows of forum tables when hovering over the cursor. When developing outlines, the presence of a folding script is taken into account. All types of topic icons have active (there are new messages) and inactive (no new messages) style. 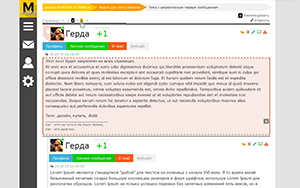 Custom layout of the topic page with graphical design of all the elements of the post: date and sharing, user profile, message control buttons. Each post is clearly separated from the other. Detailed design with non-standard outlines and unique page layout. The layout is based on a free clipart. We made a difficult work of coloring and collapsing background images (landscapes of Moscow) in header and copyright, but if you want to replace them with something more suitable for your project - the replacement is included in the price. Detailed layout - almost every element of the forum will be stylized and framed. The logo in the header will be clickable. Under the header is a mini-userpanel. Optionally, a stylized PR button is integrated. The forum menu will be vertical, to the right of the outline of the forum. 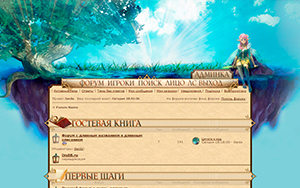 Optionally, you can make it fixed (so that it is always at hand when scrolling the page). 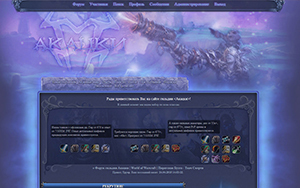 The copyright block provides space for two text blocks and banners. Non-standard layout of the Categories and List of topics. Buttons for creating topics with a background image (glow with a hover and activation when pressed). A detailed style of all forms. Hell is there any way to have badges in every ranks?